The Soninke people originated from Mali, officially the Republic of Mali, a landlocked country in West Africa. They are part of the Malian cluster of peoples. Their distinguishing people identity is their high sense of national identity, often when asked who they are will answer as being from Mali or Malian, and their primary language being Soninke. 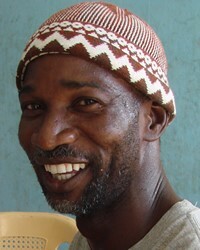 The Bambara and Jula people are two other distinct people of Malian descent. Many live illegally in the United States, and raise native-born children. Furthermore, the practice of polygamy exists in Muslim countries and is still maintained in the Malian community in the United States. They speak Soninke as a first or second language. In addition, they also speak French and English. The majority of Soninke people adhere to Sunni Islam. Pray God will send Christians to live among and share the message of Christ both in word and deed. Pray God will work via dreams and other means to reveal Jesus Christ as the way, truth, and life for the Soninke people. Pray Christians will minister to both the spiritual and physical needs of the Soninke people.